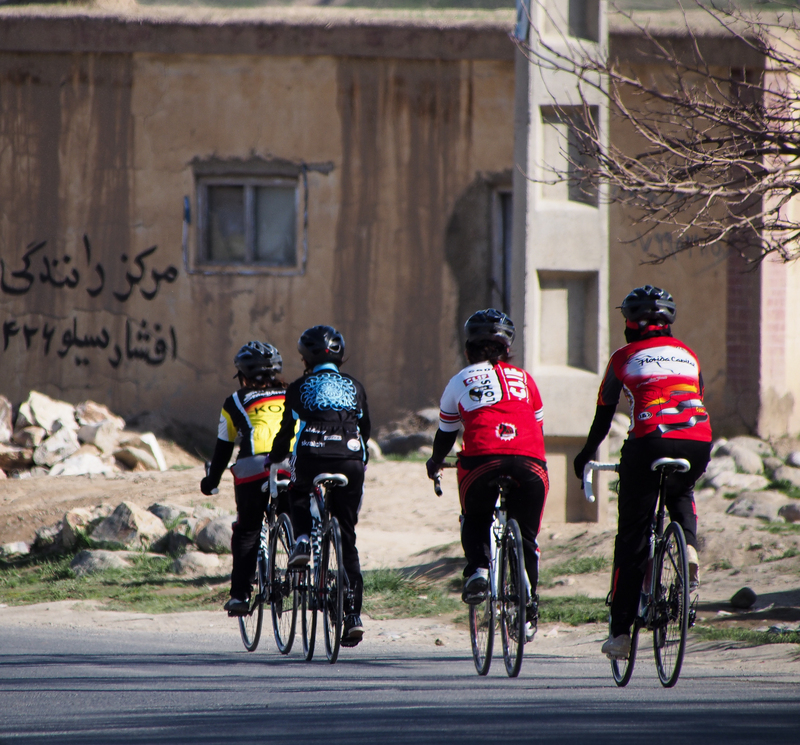 While I spent my first few days back in Afghanistan sorting out the bike delivery logistics from Kabul Airport Custom House, I took a day off to train with some of my favorite ladies, the women of the Afghan National Cycling Team. 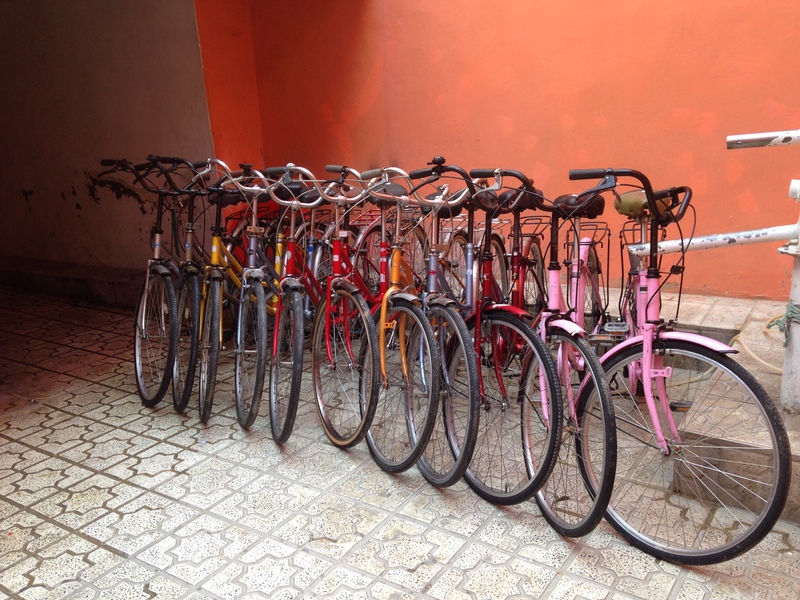 Coach showed up with his usual assortment of steel bikes stacked on top of his Land Rover and to my surprise had lovingly packed three of the composite racing bikes I had brought last spring between layers of carpet. This team needs a minibus something fierce! 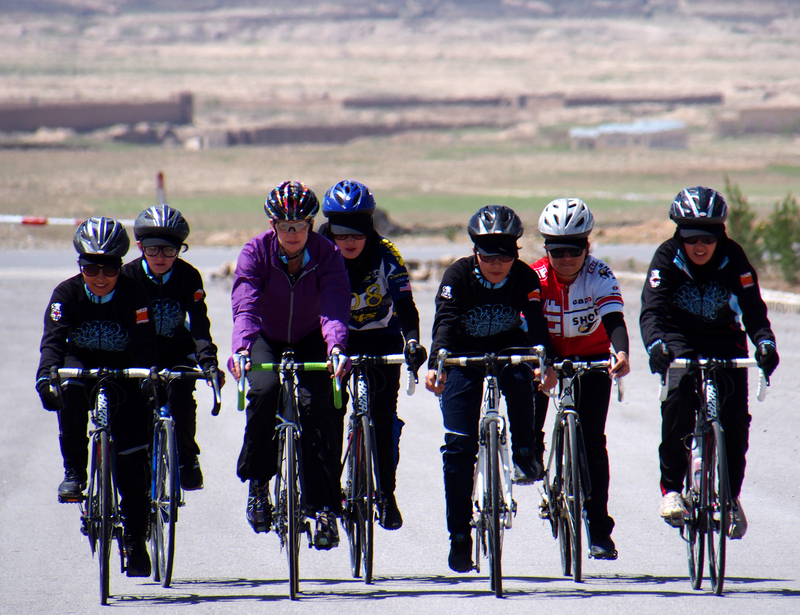 Several new riders showed up including a trio of sisters driven by their brother because Coach’s car was full. As per usual when I now join, Coach handed off coaching duties to me, which I find comical as I am a mountain biker, not a roadie, nor a racer, but my previous life as a sports trainer and my general knowledge of cycling and coaching, coupled with the base level these girls are riding at, means I seem to have some knowledge to impart. This ride? 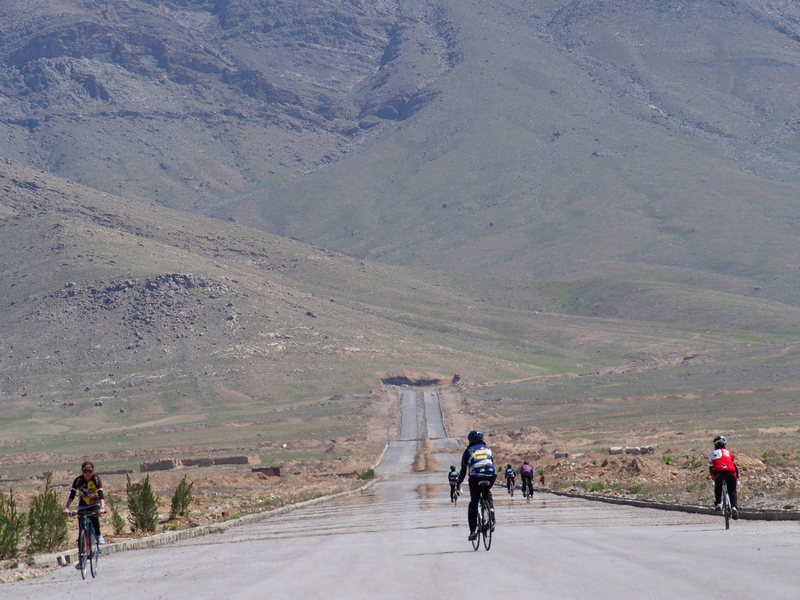 The peloton. How to ride in a pack and not knock each other over like a row of dominos. How to ride wheel to wheel without running over the girl in front of you by mistake. 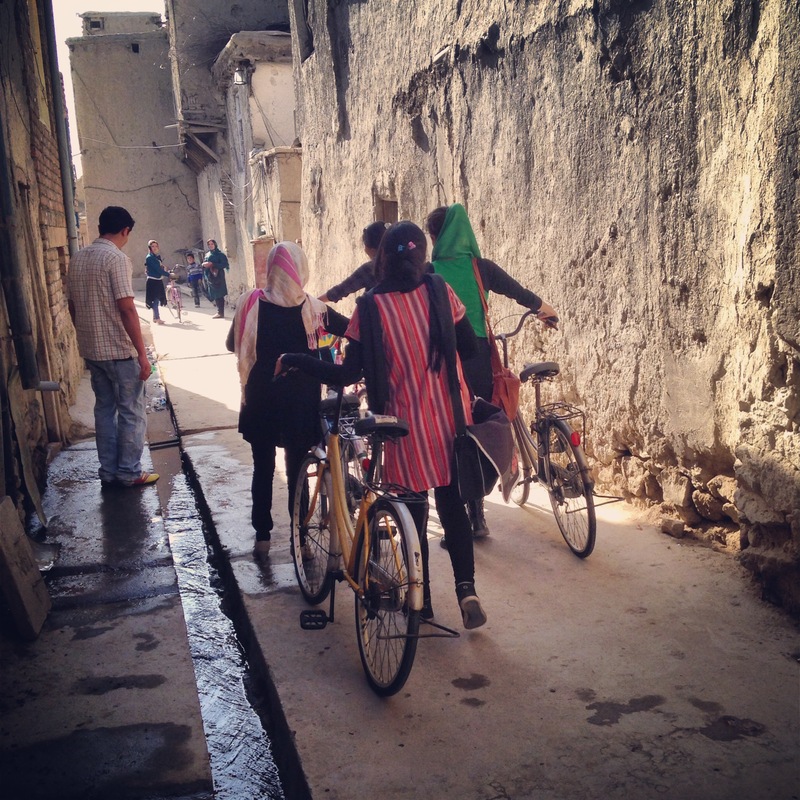 And after some warm up laps, the girls started to get the hang of it and I learned a few new Dari phrases like; ‘Nazdeek bosh’ – stay close together. ‘Dar buchoo’ – turn around. And my favorite, shouted loudly and often, ‘Takar nako’, DON”T CRASH. Lesson Two = ‘How to Corner’ coming up next. 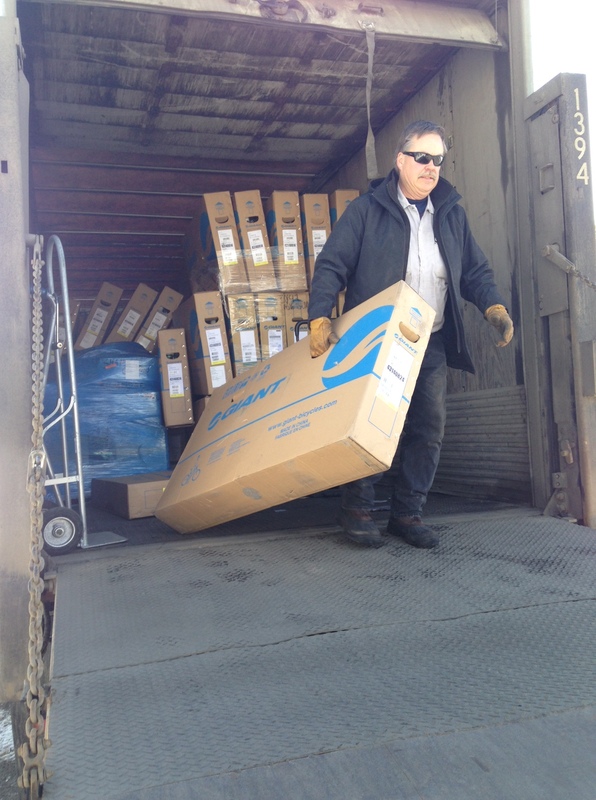 Today 53 racing and mountain bikes showed up in a semi truck. 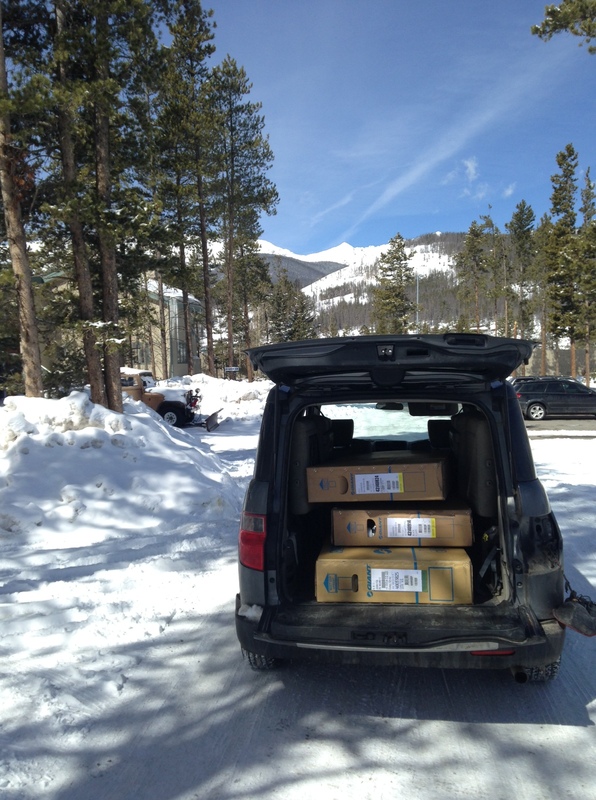 Thanks to the ongoing endless winter in the mountains of Colorado that meant the driver wouldn’t come down the hill to my apartment and hilarious one-woman convoy in my Element ensued – 4 bike boxes at a time into my landlord’s garage. 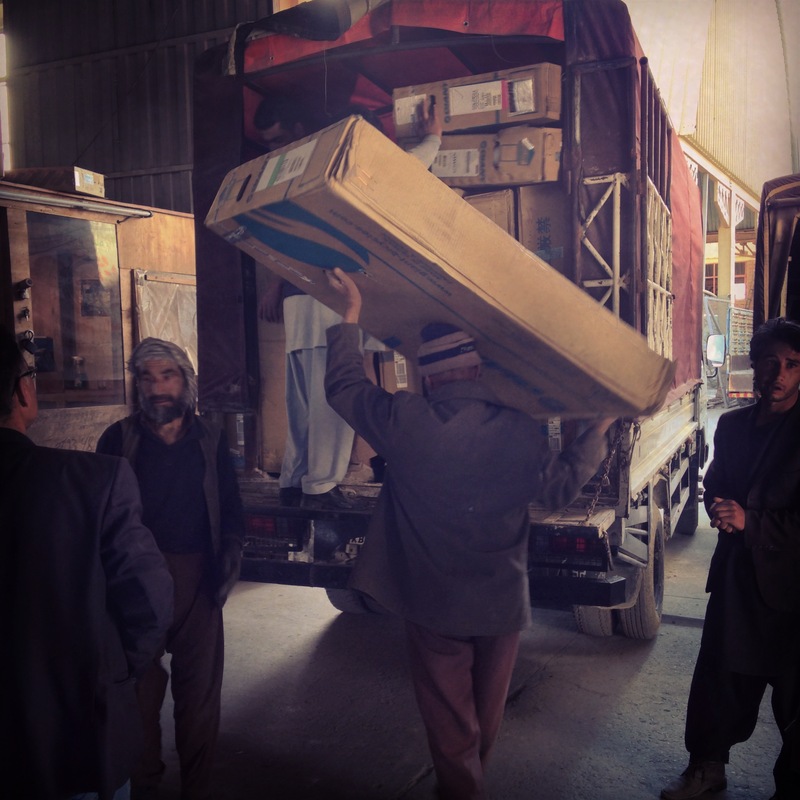 Its only a temporary holding space, in two days they fly with me to Kabul, Afghanistan. 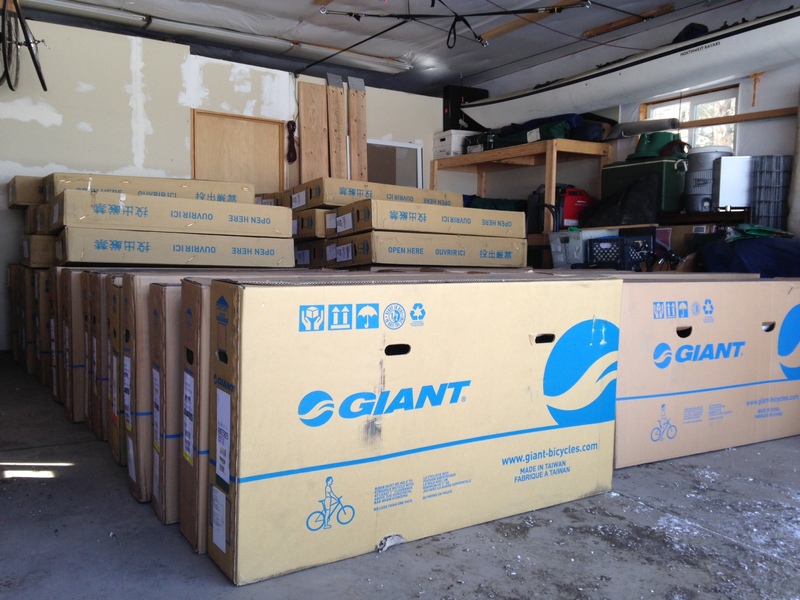 Thanks to the incredible generosity of our partner Liv/giant – we have bikes, gear, clothing, tires, and helmets. Along with an insane amount of donated cycling gear that has been accumulating in my home, this gear drive makes the last one look like a cake walk. United has confirmed they will allow me show up at the passenger drop off with a 60 plus boxes, but they will not waive the extra baggage fees. 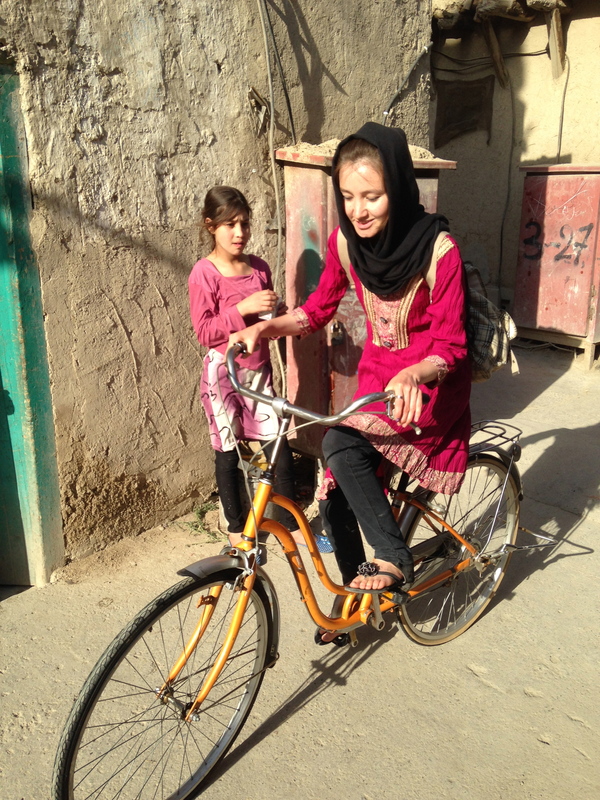 We need to crowdsource the funding to get these delivered with us to Afghanistan so we can show the world that progress is still ongoing in Afghanistan, that women are breaking gender barriers amidst the turmoil of the elections, and we can pedal a revolution together! 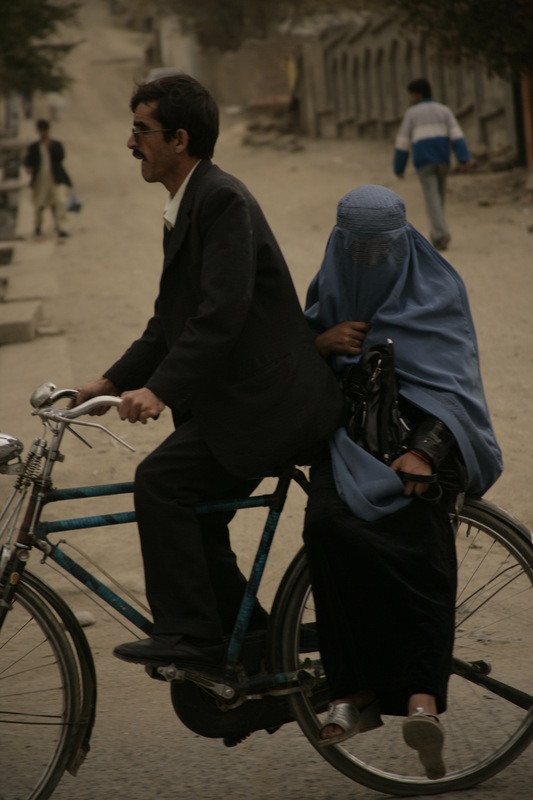 Several years ago when I first started looking at the controversy of women and girls riding bikes this was the only image you would see of women on bikes. 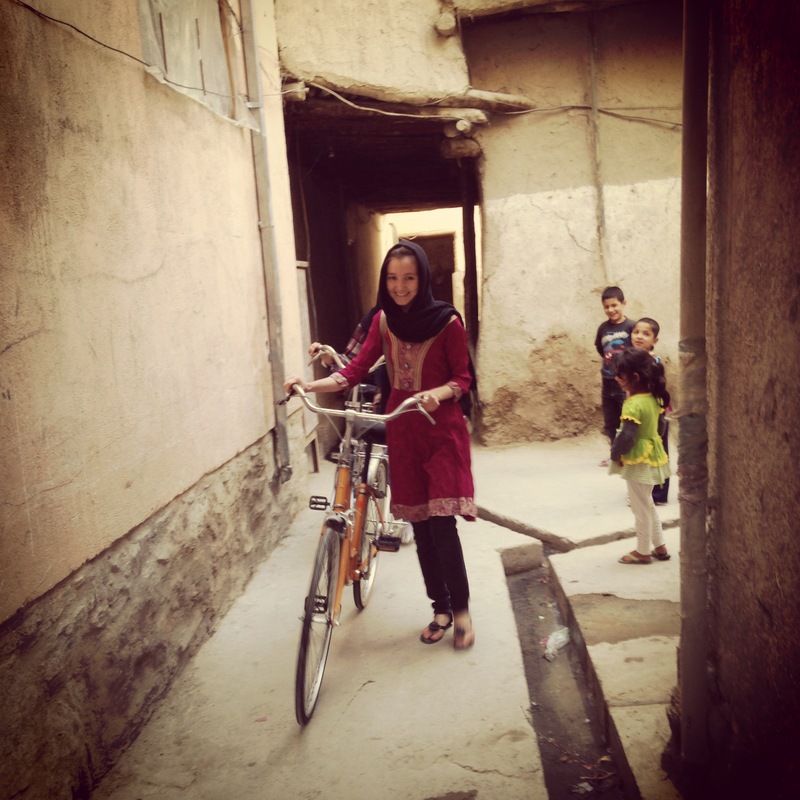 I would ride in various areas of the country and ask about the possibility of Afghan women riding. The answer was always, ‘no’. Cylcing is just not acceptable for women, and according to Human Rights Watch researcher, Heather Barr, its one step above the morality crimes that women are jailed for. 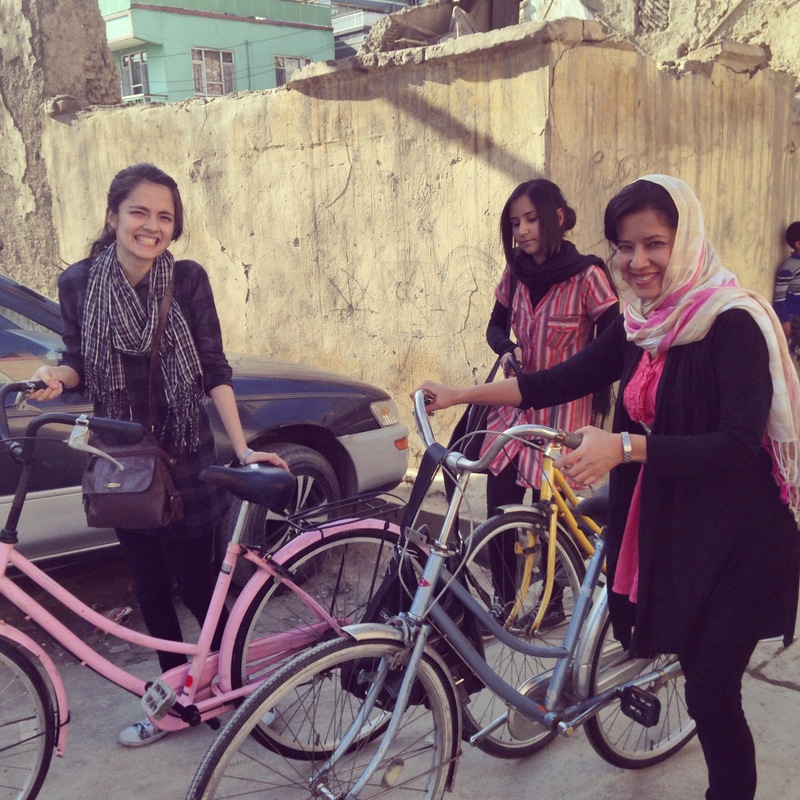 More women drive than ride bikes in Afghanistan. Its THAT controversial. But these women are THAT brave. 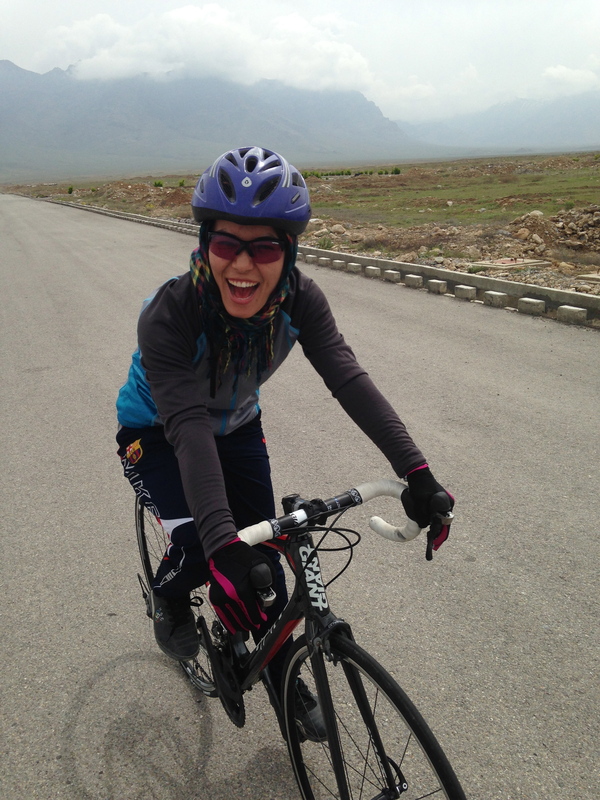 Today, because of Coach Seddiq and a handful of courageous young women, you have women riding as part of the Afghan National Cycling Team, representing their country in races in Pakistan, India, and with your help – in the upcoming Asia Cycling Championships in Astana, Kazakhstan. 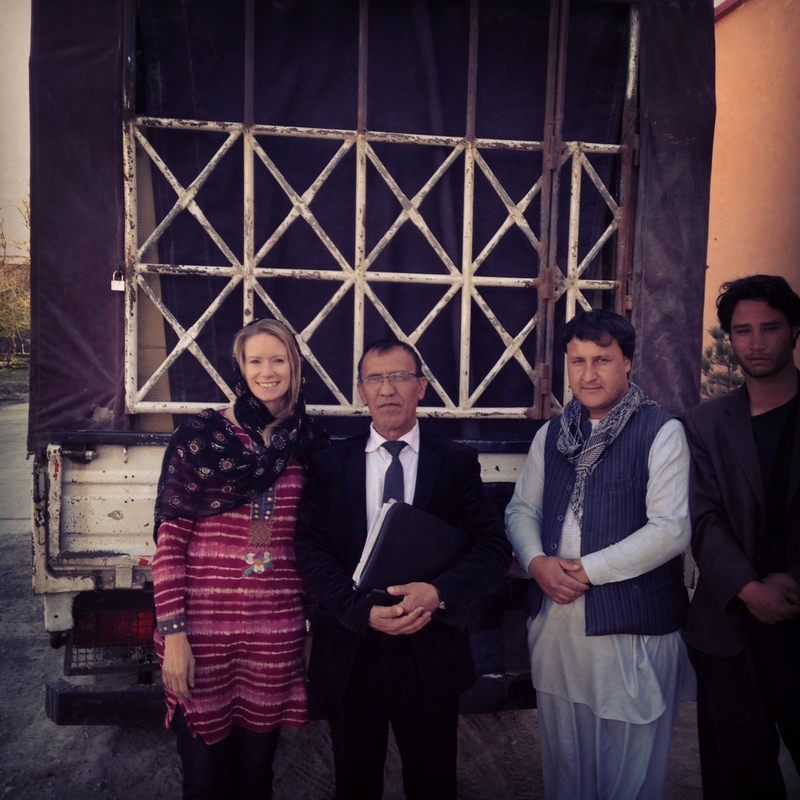 I go back on Monday to deliver the bikes, gear, clothing with the goal of not just continuing to support the national team, but to start the first ever women’s mountain bike team and make plans for a future women’s bike race with the cycling federation. This is truly a team effort and we need your help to support the team. 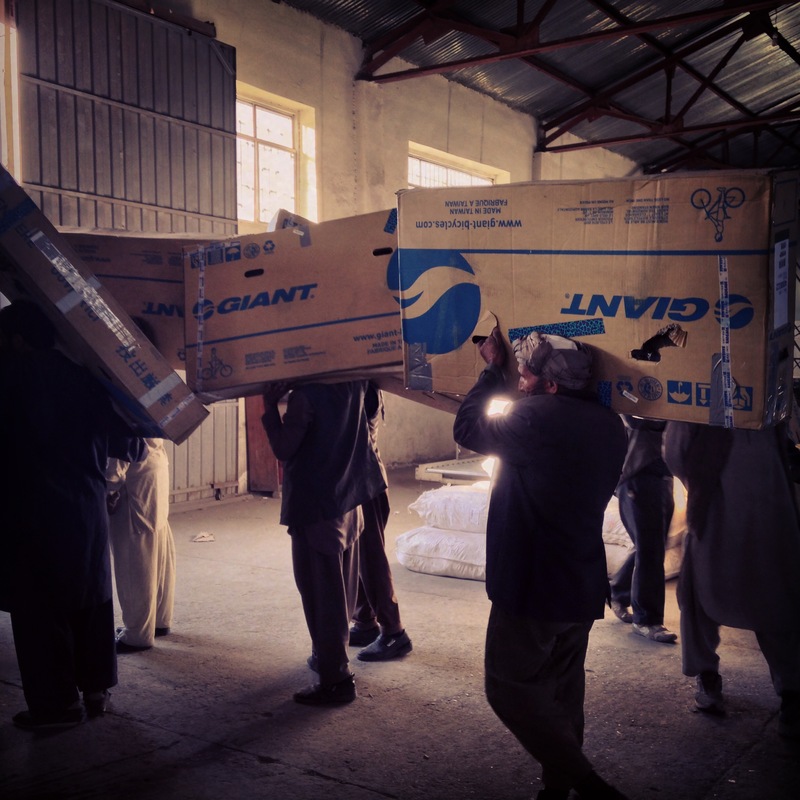 You can donate any amount, big or small to www.mountain2mountain.org/donation and you’ll be part of this two wheeled revolution! Thank you and please, donate, spread the word, share this blog, and together we can show the world what women are capable of! 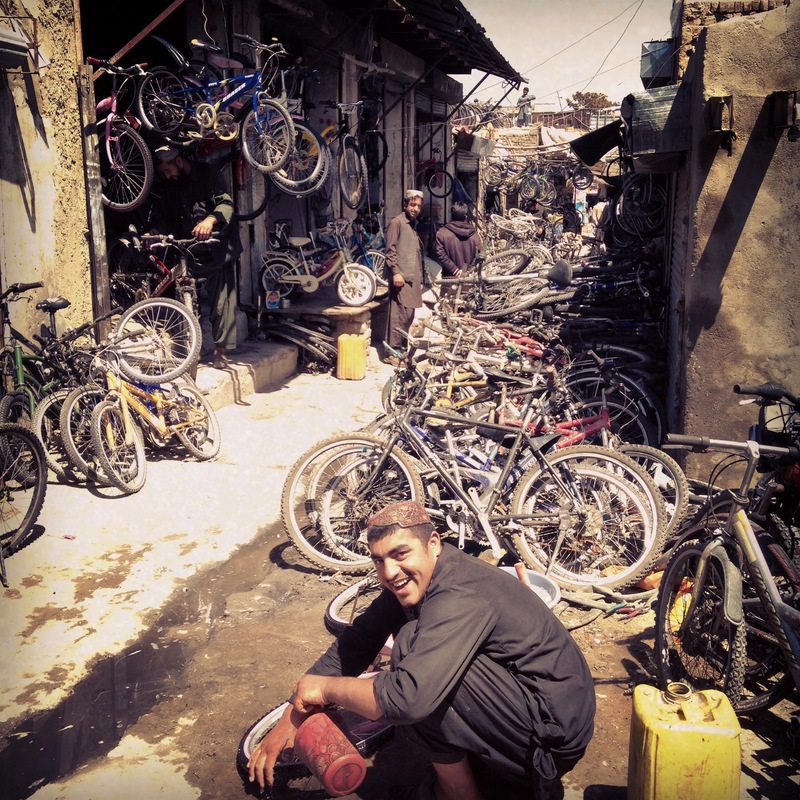 Gear Drive for the Cycling Teams of Afghanistan from LET MEDIA on Vimeo.